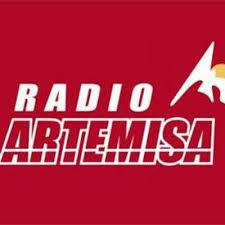 Radio Artemisa is one of the most famous online radio station on Cuba. Artemis Radio, Radio Artemisa Province, Cuba. News and information from Artemisa, Guanajay, Mariel, Bauta, Candelaria, San Cristobal, Caimito, Honda Bay, Güira Melena Alquizar. History: The corporate purpose of the Issuer Provincial Radio Artemisa isto transmit programming to the service of knowledge, culture, recreation and defense of the nation and all its citizens. Radio Artemisa also exists to deepen the struggle for independence, sovereignty, national identity and love to the construction of our socialist project. Its main objective is to disclose information of facts, events, events of Artemis, Guanajay, Mariel, Bauta, Candelaria, San Cristobal Caimito, Honda Bay, Guira de Melena, Alquizar and San Antonio de los Baños municipalities; and the most important national and international events. Founded on April 1, 1941. This day began to work in the town of Artemisa radiotrasmisora the first floor, which is identified with the acronym CMAX, with the power of 250 watts and from the dial 850 kHz. Among the oldest and programs they remain today are Mexico, Tierra Adentro, Through Week and News. The programming is varied: informative, musical, dramatized, with a time of 6:00 a.m. 12am, Monday to Sunday 18 hours in air. According to population surveys, the station has a wide audience ranging from young children to adults and the elderly.From the first of January 2011 he became Provincial Radio Station after the political-administrative division where Artemisa is born as a province. Radio function: The radio structure and systemic approach to programming becomes a weapon in the ideological and political education of our people, and their relationship with the environment is a socializing agent, promoter and facilitator of our culture and national identity.